Photography by Christopher Ian Smith inspired by nature at the Ocmulgee National Monument in Macon, Georgia. First Friday Free Opening Reception October 5th 5-8 PM presented by Spa Medical and Vein Specialists of the South. This event is part of the First Friday Art Crawl and is free and open to the public. Christopher Smith graduated with a BFA in Fine Art Photography from California State University Long Beach, and has been a professional photographer since 2005. After spending the previous five years in Southeast Asia as a photojournalist, media consultant, travel writer, and director of a documentary center, he has recently relocated and is currently based in Macon, Georgia. 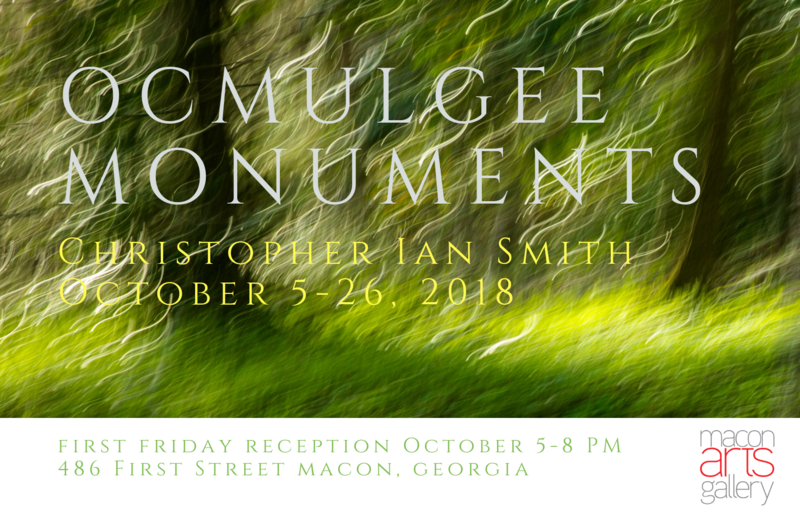 His current project and upcoming show at the Macon Arts Alliance Gallery revolves around the Ocmulgee National Monument. Images are captured using strobes, kinetic movement and long exposures in a style sometimes described as “dreamscapes”. The exhibit will be on display at Macon Arts Gallery through October 26th. I strive to capture the essence of an interaction; something that I feel is too often lost within the details or apathy. These images exhibit moments of inspiration, concentration, study and/or play that are unfailingly fleeting. Light, time, motion, speed, angle, location, and even mood, all dictate the form captured during the experience. A slight change in any aspect can create a completely different image, feeling, or portrayal of the same subject. This emphasizes that reality changes with the viewer’s perspective. The postproduction has been restrained to modifying contrast and colors. The form is original, created using strobes, kinetic movement, and long exposures.